To lay the foundation for continued growth, we maintain a sizeable land bank of more than 840,000 sq metres of planned gross floor area (equivalent to the size of more than 160 football fields), which we expect to last for the next 2 to 3 years. The massive land bank, part of which will be deployed for the development of Shining Holiday Shopping Centre II, another shopping mall to be located adjacent to the existing Shining Holiday Shopping Centre, and for the development of possibly another cluster housing project situated in the western district of Xinxiang City, augurs well for the prospects of the Group as we ride on the rising real estate potential of the Henan province. The following are property descriptions for projects which our Group has entered into Memorandum of Understanding and is looking to develop but the land use rights for which have not been obtained. The grant of these land use rights are subject to various government approvals. Land in Xinxiang City Economic Development District, Xinxiang City, Henan Province, PRC, with a site area of approximately 460,000 sq.m. 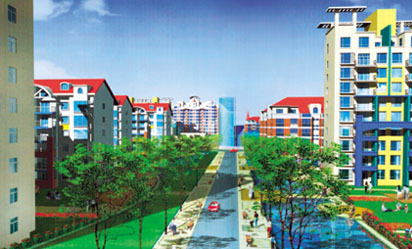 The land plan for the development is for composite use i.e, for residential and/or commercial development. The total planned GFA will be approximately between 560,000 sq.m. and 690,000 sq.m. Land along Nanjing Road in the Shangqiu City New District of Xinxiang City, Henan Province, PRC, with a site area approximately 213,000 sq.m. The land plan for the development is for composite use i.e, for residential and/or commercial development. The total planned GFA is approximately 180,000 sq.m. 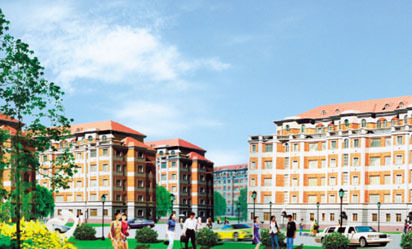 Land adjacent to the Xinxiang City Hongqi area local government administrative building and across from a planned theme wild life park. The property comprises a parcel of land with a site area of approximately 134,000 sq.m. 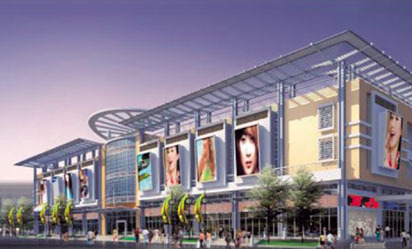 on which is planned to construct a shopping centre and a number of buildings scheduled to be completed in various stages by around 2007. The total planned GFA is approximately 112,000 sq.m.